Australia’s major banks have confirmed they won’t be banning bitcoin following the Northern Territory gambling regulator shutting down a cryptocurrency betting platform. ANZ, Westpac and NAB have taken a contrary approach to internationals like Bank of America and Citigroup, announcing they won’t be banning their customers from using credit and debit cards to purchase cryptocurrencies. 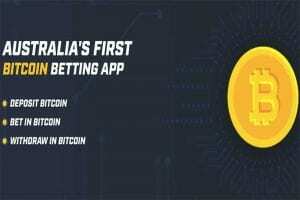 Just last week, Neds.com.au launched a cryptocurrency betting platform, where punters could use the bitcoins they had purchased, or acquired, to deposit, bet and withdraw. The crypto platform, created by the online betting site’s technology team, acted as a wallet, which punters could deposit with to fund their accounts and start the betting process. While only accepting bitcoin, the bookmaker implied plans to add additional currencies published on a blockchain. 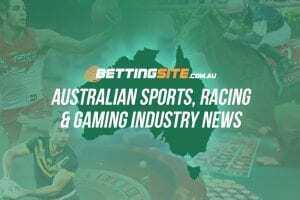 But it was short-lived, with the Northern Territory Racing Commission, which licenses many of Australia’s legal betting sites, issuing an email to all licensees. The regulator ordered all sites to halt any cryptocurrency operations since the Australian government does not consider them a national form of currency. Neds’ bitcoin betting service only lasted a few hours, which lead many to believe Australia had joined in on the crypto crackdown occurring around the world. There are reports that India is looking into regulating digital currencies, including bitcoin, while China is taking steps to introduce the appropriate legislation to prohibit cryptocurrencies. There are several countries, including Bangladesh, which has already outlawed the currency. While the NT Gambling Commission has put a stop to cryptocurrency payment options indefinitely, it’s likely that it is reviewing how best to proceed, with many other regulators around the world in a similar position. Bitcoin has become something of a “go-to” deposit method for international online gambling sites, particularly in places like the USA, where they implement payment blocking at a bank level, because of a ban on many forms of online wagering. Undoubtedly there are many Australians who gamble with offshore sites using bitcoin as their deposit method of choice, with local regulators unable to do much to stop these types of transactions without drastic measures. Because bitcoin operates without a middle man processing the payment, instead using the blockchain, it makes it next to impossible police, although China is taking the unprecedented step of blocking all cryptocurrency related websites. The ANZ bank told the ABC it “does not prohibit customers (Australian) buying digital or cryptocurrencies, or accepting them as a form of payment”. A spokesperson did say that the bank will continue to monitor transactions, picking up on any suspicious activity to comply with fraud regulations. NAB offered a similar sentiment but did mention that it may ban cryptocurrency transactions if security concerns arise. “ASIC (Australian Securities and Investments Commission) advises that, as most of the virtual currency exchange platforms are generally not regulated, customers may not be protected or have any legal recourse if the platform fails or is hacked,” a NAB spokesperson said. Westpac took a similar stance, while the Commonwealth Bank of Australia hadn’t responded for comment. It’s not clear what direction the Federal government will go with cryptocurrencies, with the Australian Taxation Office (ATO) recommending anyone trading with or investing in bitcoin to keep transaction records. The announcement made by the major banks on Wednesday, shows some promise for the future of cryptocurrency betting, with Neds.com.au ready when the NT government is unless Australia follows in China’s footsteps.